Partake of an authentic pilgrim feast this holiday season. Thanksgiving Point’s Show Barn will be transformed to immerse you in the culture of the very first Thanksgiving, complete with the sights, sounds, and foods of the 17th century. 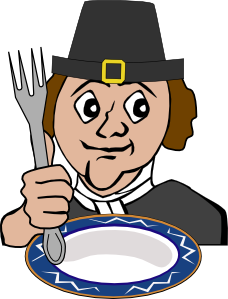 Upon arrival, you’ll receive biographical information about one of the pilgrims who attended the first Thanksgiving. You’ll spend an evening seeing life through this person’s eyes as you take a step back into early America. Your hosts will be prominent pilgrim figures, played by actors, who wear period clothing and share customs and traditions of the time. Young ones will delight in traditional games and activities and barnyard visitors. Don’t miss this unique opportunity to celebrate and understand Thanksgiving in fun and new ways. CLICK HERE to go to their website for information on purchasing advanced tickets, and for more information.